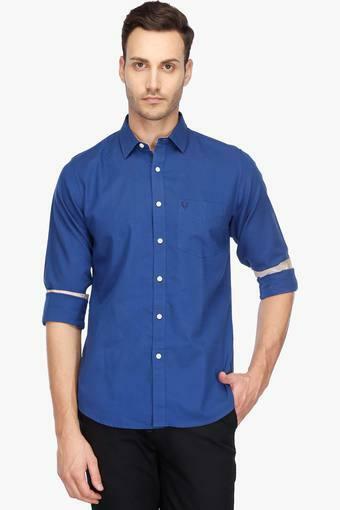 Experiment with style by opting for this shirt from the coveted brand, Allen Solly. 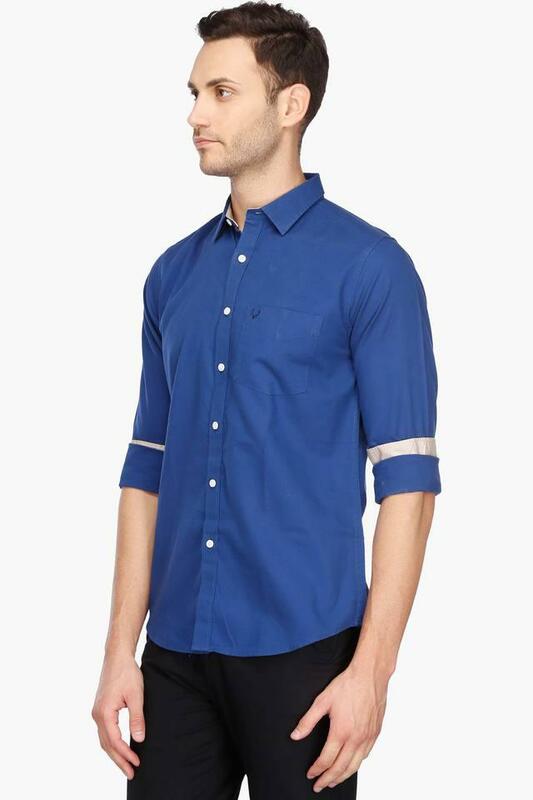 Featuring roll up sleeves, it also exhibits a solid pattern that enhances its overall look. 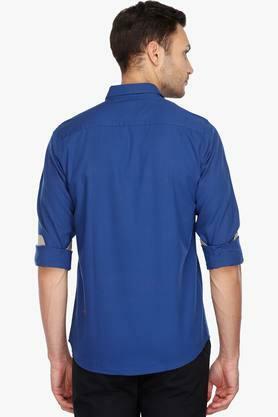 Besides, it has been crafted with care using a premium quality fabric so as to keep you at ease all through the day. 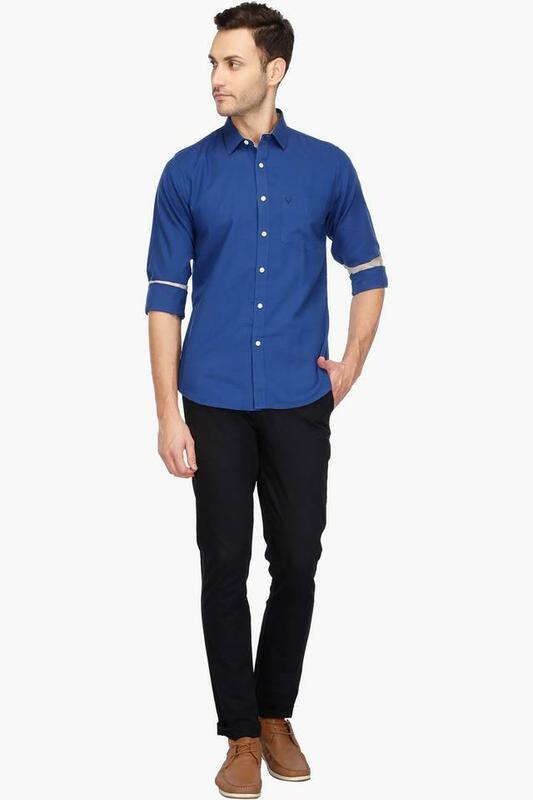 Walk into casual occasions in style by wearing this shirt. You can team it with a pair of chinos or and lace up shoes to complement your favourite look.